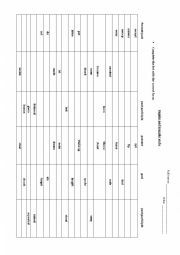 This a simple test wk, where you can evaluate verb to be exercises,text comprehension as well as countries and nationalities. 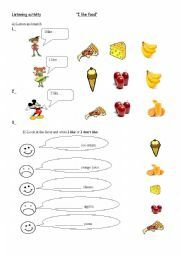 Hello everyone, this time I post an easy test for little kids.It´s short and concise. 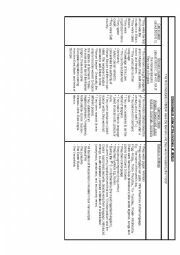 This is a test for intermediate students. 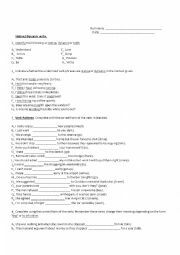 The test contains exercises with comparatives, superlatives, uses of like and verb patterns. 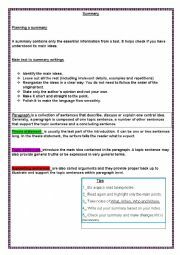 Tips for planning a good summary. 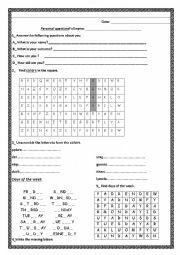 A very easy worksheet for low level students. 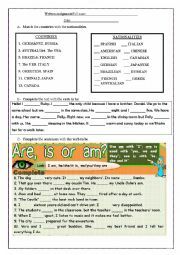 Enjoy this activity in which pupils will practice vocabulary and grammar. 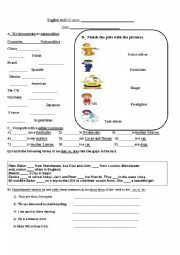 In this worksheet sts will make a review about personal questions and vocabulary.